I'm not a fan of mobile games for numerous reasons. Microtransactions, the gameplay being too simplistic or games trying too hard to be something that they're not are among some of them. Plus I tend to compare them to computer games, even though I know it's unfair. Mobile games that can keep my glued are few and far between. 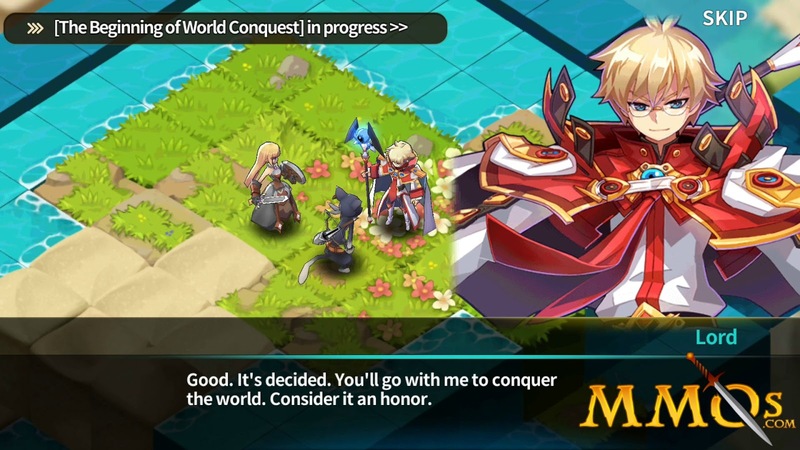 After losing all my data in Brave Frontier and subsequently giving up on the Crusader Quest, I've been searching for an interesting mobile game for quite some time. Preferably one with an interesting story, consistent progression, and balanced gameplay mechanics. Before long, it seemed that fate led me to one that captured everything that I was looking for: Fantasy War Tactics. Developed by Nexon, one of Korea's leading gaming company and the name behind other well-known titles like Maple Story and Dragonica, Fantasy War Tactics (FWT) have had me logging in consistently for the past two months now, even when I was overseas at Vietnam (much to the annoyance of Dawn). From the start of the game, you are already greeted by colourful characters and an intriguing story, where your persona is not the typical protagonist. Forcing your minions to call you Lord and mind-controlling those who disobey, you have only one goal in mind, world conquest. There's only one tiny obstacle in the way: someone has already beat you to it and they're threatening to destroy the world you seek to conquer. So you have no choice but to save the world from their plans and promptly re-conquer it with the different heroes that you have recruited along the way. It's amusing to follow your team throughout the journey as they interact with each other, attempt to fight the real bad guys and recruit new heroes along the way. Combat is quite easy to pick up. Similar to the turn-based tile system of Final Fantasy Tactics, you'll take alternating turns with your opponent to position your characters and attack. There are several strategic calculations that you can take into place: such as the direction of attack, the tile type and your character type; in addition to the normal character skills and equipment; but they are quite easy to learn. Mastering them is another matter, of course, but that is what makes the games fun. Combat can be different every time you play it, thus allowing you to experiment with varying strategies that fit you the most. You have skill effects like stuns, confusion and mind control to help make battles more interesting. Of course, like most F2P mobile games out there, grinding can get a little tedious if you're planning to level your characters all the way without cash. There are a lot of paths to make your team stronger, which include but is not limited to skills level, character level, character gear and team composition. They also have a Borderlands style of gear system, where gears will give you random attributes depend on the level of their rarity. 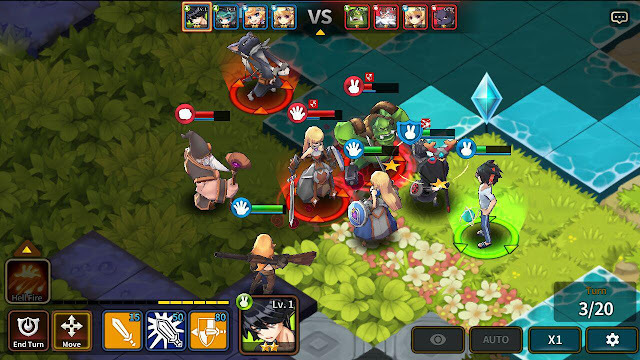 There are also PVP opportunities, but enemy teams usually run on auto mode (meaning that the computer fights on behalf of players). There is a lack of cooperative opportunities right now for players, though. Other than the chat option and the PVP option, the only other notable social element in the game is the live chat room. Socially speaking, the game still have room to improve (having guilds/clans would be awesome). But if anything, all of their female characters have their cleavage exposed. I mean all. And they call you Lord (fan service much). Except the younger underaged ones, of course. You might not want to play this game if you're an ardent feminist. 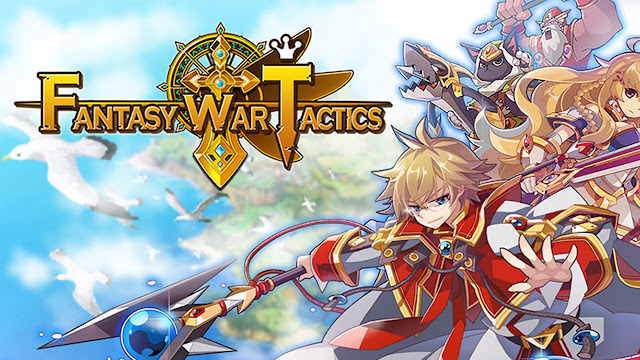 Seriously speaking though, out of the many mobile games that I've tried, I would recommend Fantasy War Tactics if you're looking to pick up a new mobile game.